I know that there are still a few days left in this year, but I’m looking into the new year already. There is something that I was meaning to do for so long, but just didn’t want to do it. I needed to move my desk. But not only did I have to move the desk, I had to move another piece of furniture and lots of paperbacks. I used to love working at the desk, but I was staring at a blank wall. Sure I could have put up a pretty picture but I have a window with a beautiful view of some trees. Now granted I am also looking out and over at the neighboring apartment building; however, I can open the window and feel the nice air waft through. Yes I know that it is December, but this is Florida and it’s nice weather in the afternoons. So I did it. I packed up the books into boxes to be placed on bookshelves later (keeping out the books that I refuse to put away) and moved the furniture around. I now have that window open, a bit of music, and a nice breeze to write by. This year is bringing changes. I need to embrace those changes and make the best of them. These last couple of months have already started the ball rolling and it will continue to keep going. Let’s hope that this year turns out better than the last. Not that this last year has been bad, but there has been stress. I moved in with my now husband, graduated with my BA, lost my grandmother, got married, published my collection of short stories and poetry, and have gone on my honeymoon. I think it’s time I sat down and took a deep breath. For Christmas this year, I’m giving away “Encountering the Mind.” With it being a holiday, I thought it would be the best time to see about people getting to know my work. This work is really a showcase of my poetry because let’s face it, poetry is the hardest written work to sell. I added the short stories to give the work some extra length. The short stories have a dual purpose as well. My voice and style are intertwined with the words. These stories are a small sampling of what my novels will be. A quick update on my novels. I’m only about 30K from finishing my rewrite or my assassin novel. This was going to be a series when I first started writing it in 2007 and as I write it, I can still see it being one, but at this time I have several other projects that I want to finish and publish. At that point, I can go back and continue with that story world. I love writing in a lot of different genres but there is usually a romantic element throughout. With tomorrow being Christmas, I have a lot to accomplish. I worked at my part time job this past week and have so much to do and that includes a word count. Merry Christmas, Happy Holidays, and Merry/ Happy everything else!!!!!! Publishing can be a scary thing. It has been a scary experience to say the least. I didn’t know what to expect when I hit that button. but it has been good. I’m excited that people get to read work that I have written. Even if what I have put out there isn’t something that everyone enjoys,I have still know that I have accomplished something in this journey. It’s one thing to say I’m going to write something and then actually do it. This has been a goal of mine for so many years and to have done it has been a life experience that I wouldn’t change. “Encountering the Mind” is a collection of work that I compiled from several years. The short stories went through several edits that only made them better and stronger. The poetry was grouped together in a way that tells a story. But as we all know, the mind doesn’t function in a straight manner. This was a small project that taught me how Amazon and Kindle works. I learned how to format the text and went through edits. Everything that goes into being an indie author. It’s a process that I will use for my full length works once they have been completed. I will be more active once I have tried home from my honeymoon. I will have more details that I will be able to use. People watching where I’m at has been interesting to say the least. That means that my characters will also end up with some interesting characteristics. I should get back to the fun of my honeymoon. 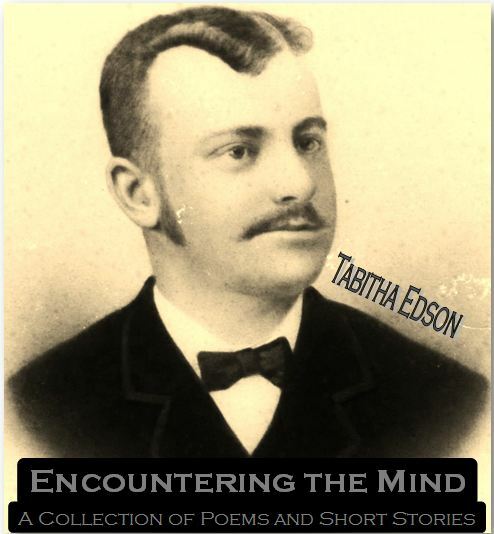 If you purchase “Encountering the Mind”and you like it, please leave a review and recommend it to others. If you didn’t like it, please be respectful. Last night I got the final edits back and I hit the publish button. It was a little scary. This is my first published work, but I feel that I needed to share it. Another reason that it was nerve wracking to hit that button is because this contains poetry. Poetry is probably one of the hardest things to write just due to the emotions that drive it. It’s more personal than just a short story or even a novel. I had a lot of fun putting this together. It was a journey for me. I know that this is just a stepping stone and can’t wait until I have a full length novel done and out there. So I am really close in getting my first piece published for the masses. It is going through a quick edit. I have read over it several times and thought that I had caught everything, but when one writes something, they can’t always see the mistakes. I try to see them and yet because I know what it should be, that’s what I see. I am grateful that it’s getting a new pair of eyes on it. Then I’ll make the recommended changes that should be made for the grammar. Not sure about what suggestions there will be otherwise, but I’ll look at them and make the changes if I think that they are the right ones to make. One never really knows. Christmas is also right around the corner. I have a tree that has decided to grow a mind and throw itself onto the floor. I have cleaned up broken bulbs twice now. Why tree have you decided now is the time that you want to throw a tantrum? It has been a wonderful tree up until last night. Still trying to guess as to why it is doing this. Anyway, it’s still a beautiful tree. I had better get back to writing one of my novels. Maybe I’ll be able to get one completed for editing and then be able to actually publish a full length work. We shall see. I am hopeful in that I will be able to get a lot accomplished even while on the Honeymoon.